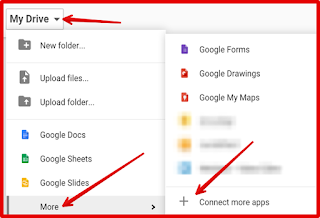 Whether you are a novice or veteran Google user, the visual below provides you with 10 essential tips to help you make the best of your Drive. 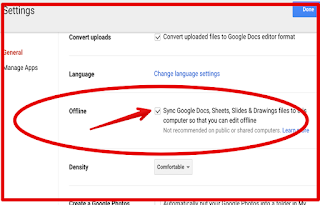 We have particularly focused on the following areas: how to: access your Drive files offline, customize sharing settings of your folders, connect and manage apps in your Drive, organize and sort your folders, convert uploaded files to Google Docs format, quickly search your Drive, change the language of your Drive and finally how to access a list of important keyboard shortcuts to use on your Drive. 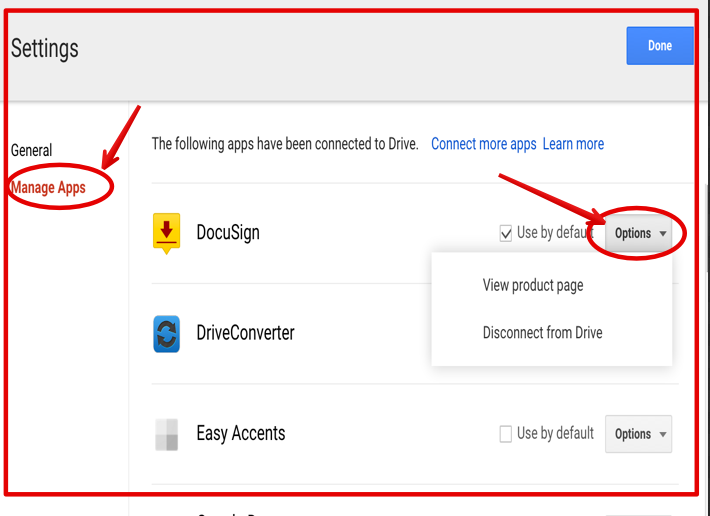 You can access, view and edit your Drive files and folders while you are offline. 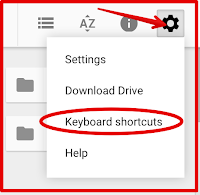 This feature only works on Chrome browser. 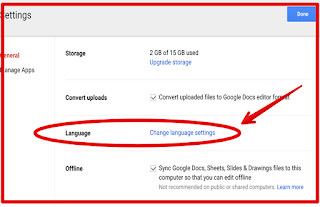 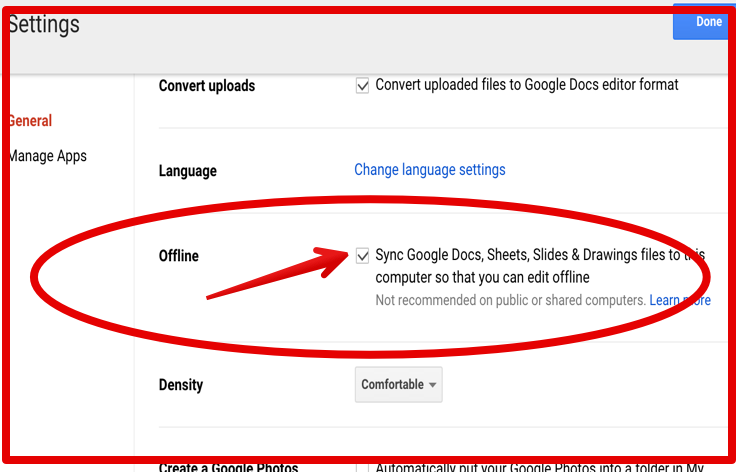 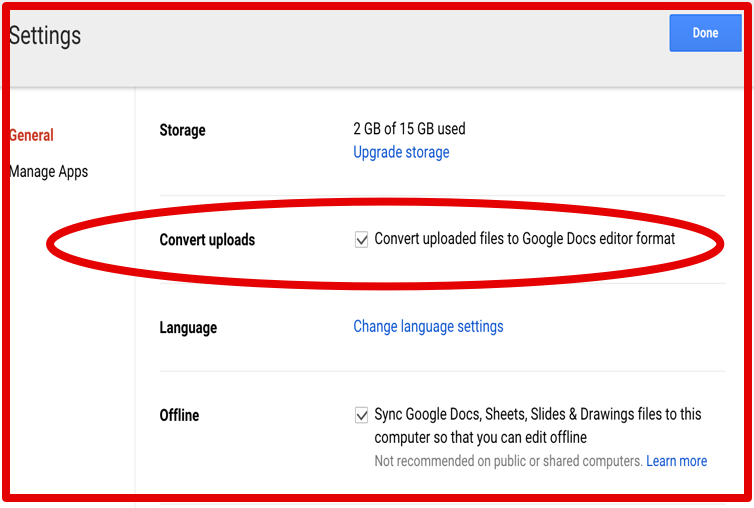 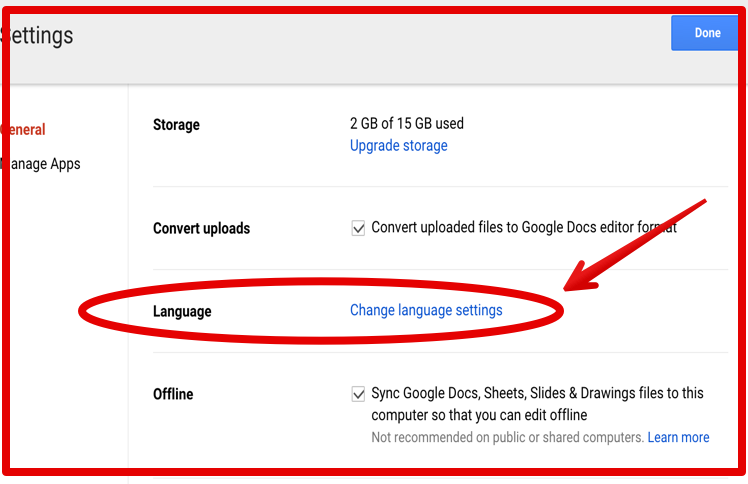 To turn on offline access feature, click on ‘settings’ from Drive’s homepage then check the box next to "Sync Google Docs, Sheets, Slides and Drawings files to this computer so that you can edit offline." 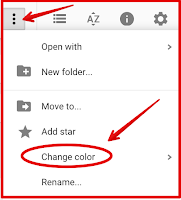 Color coding folder icons makes it easy for you to organize your Drive content and easily find what you are searching for. 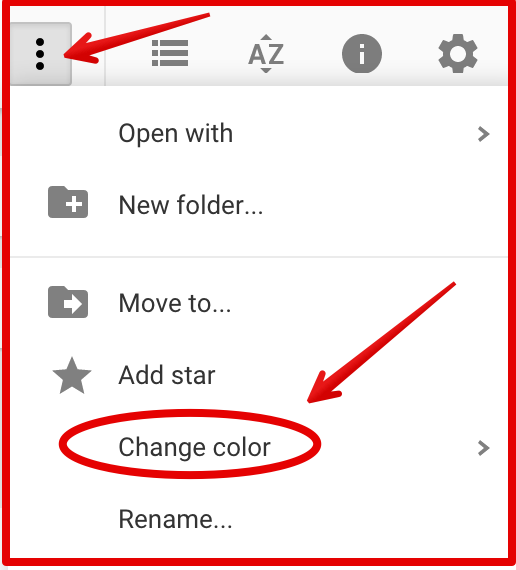 To apply a color to your folder, click on the folder in Drive homepage then click on more actions menu button and select ‘change color’ as shown in the screenshot below. 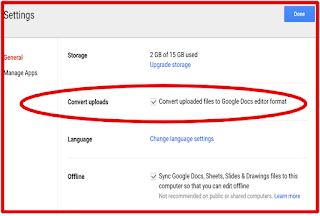 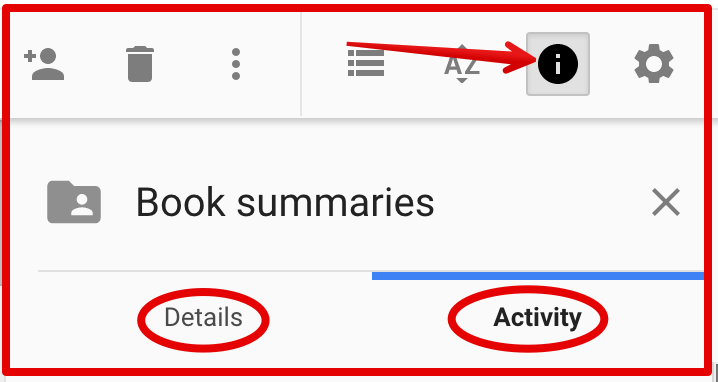 This functionality allows you to view the history of your activities on your Google Drive. 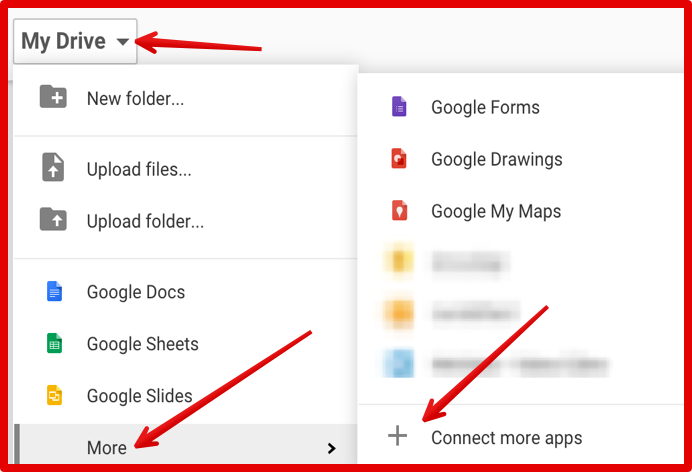 You can also use it to see details about specific folders in your Drive. For instance: when it was created, modified, opened, where it is located and many more. 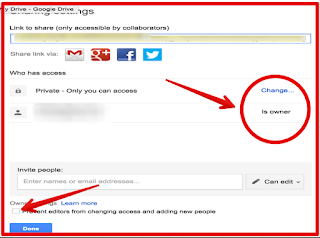 Here is how to use this functionality. 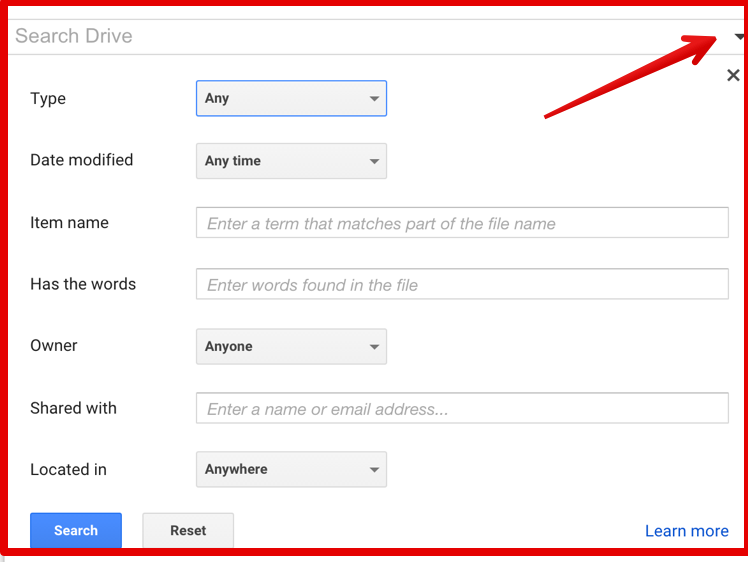 In your Drive’s homepage, click on the black circle with letter i located in the top right corner. 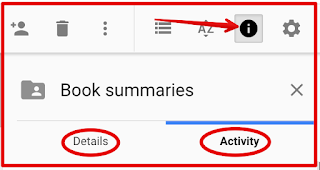 You can either select ‘activity’ to see a history of your activities or click on ‘details’ to view information about your folders. 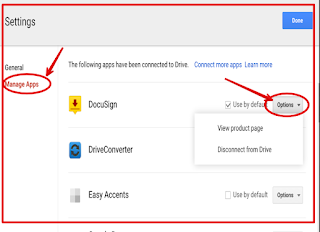 Google Drive on the web provides you with a comprehensive list of shortcuts to enable you to quickly navigate your way through your Drive and enhance your overall productivity. 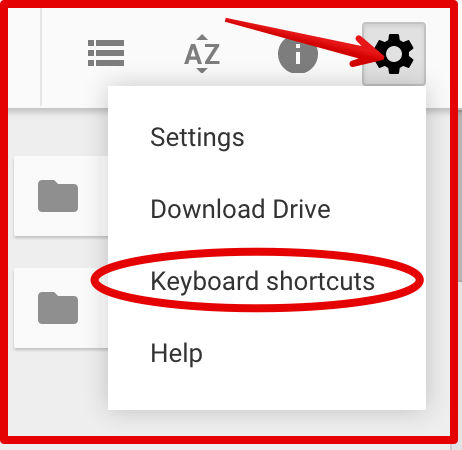 To access the list, click on settings button on top right corner and select ‘keyboard shortcuts’.